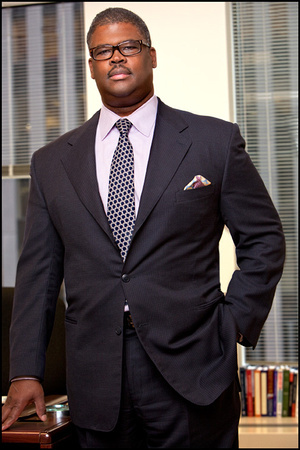 Charles V. Payne is an American journalist and broadcaster best known for hosting the Fox’s show “Making Money With Charles Payne”. Born on 15 November 1960, Charles is also known for being a contributor on the Fox News Channel as well as for hosting his own daily talk show – “The Payne Nation” – broadcast and syndicated by the Sun Broadcast Group. Charles has been working with Fox Network since 2007. A widely popular television personality noted for being a knowledgeable financial analyst, one may wonder how rich is Charles Payne? As estimated by sources, Charles counts his net worth at an amount of $10 million in early 2016. Of course, his career as a broadcaster has been significant in amassing his present wealth alongside his career as a financial analyst and being the owner of his own stock market research firm. Charles started his career at the age of seventeen as he enlisted into the United States Air Force. He served as a security policeman in Minot, North Dakota where he was stationed at Minot Ari Force Base. While he was serving, he also attended Minot State University and later continued his studies at Central Texas College. Eventually, he started working at E.F. Hutton in Wall Street in 1985 as an analyst. Then he started his own independent stock market research firm named “Wall Street Strategies”. He still serves as the CEO and principal financial analyst at the firm which he founded in 1991. In 2007, as the Fox network launched, Charles took a job as a broadcaster sharing his knowledge of the stock market and financial analysis. Firstly, he co-hosted the show “Varney & Co.” and later started hosting his own show “Making Money With Charles Payne” which still airs on the network. Apart from hosting this program, Charles also serves as a contributor to the Fox News Channel, as well as occasionally appearing on shows like “Cashin’ In”, “Cavuto On Business”, “Bulls And Bears” and several others. Needless to say, being a part of all these television shows has not only made Charles a popular personality on television, but has also managed to earn him well enough so that he lives as a multi-millionaire at present. Apart from being a journalist, Payne is also an author who released his book entitled “Be Smart, Act Fast, Get Rich Quick: Your Game Plan For Getting It Right In The Stock Market” in 2007. During his career, Charles went through an accusation that he sold the stocks of member companies from his firm “Wall Street Strategies”. However it was not clear in court if he took money from the member companies or the firm’s clients to promote their stocks. Charles settled this accusation by agreeing to pay the penalty of $25,000 although he did not admit or deny the alleged violations. As for his personal life, 55 year old Charles now leads his life as a married man, married to Yvonne Payne; the couple now resides in Teaneck, New Jersey while Payne’s present net worth of $10 million caters to their daily life. 1 His wife, Yvonne Payne, had a heart transplant . 2 Became a grandfather [October 2012]. 3 First job was at a small shop in Harlem, where his duties included working the register and being a security guard. 4 Fan of Earth Wind & Fire. 5 Began career on Wall Street as an analyst at E.F. Hutton in 1985. 6 Served in the U.S. Air Force for two years, attending Minot State University and Central State College while in the service. 8 Grew up in Harlem in a single parent home. 9 Has a son, Charles (born in 1996) and daughter. 10 Fox Business Network contributor, since the network's launch in October 2007, and a Fox News Channel contributor. Hosts own daily syndicated talk show, The Payne Nation, by Sun Broadcast Group. 11 CEO and principal analyst of Wall Street Strategies, an independent stock market research firm he founded in 1991.